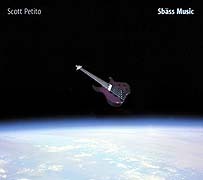 The cover of Sbass Music by Scott Petito, depicts a bass guitar floating in space above a blue planet (did someone accidentally leave the pod bay doors open again?). This is Petito's witty introduction to his music: Outer Space + Bass Guitar = Sbass Music. Get it? Actually, as cool as the title is, this album's main viture is that it fills space rather than creates space; which is the goal of any self-respecting composer in the genre of Ambient Music. Petito accomplishes this and more with a bass guitar (however sonically manipualted) as his only sound source. Each of the nine tracks on Sbass Music offers enough contrast and complexity to make an interesting experience of active listening, or not... as the disc is also designed to spin forever in continuous play mode out at the periphery of perception. But rewards await those who do pay attention. Petito realizes music at the limits of his instrument's capabilities and of his own as a composer and virtuoso player. He's obviously left the conventional view of the bass guitar behind as he uses his instrument to explore music of stillness and atmosphere. The music slowly alternates between a trembling vulnerability to waves of strength and light - with an ever-present, deep subsonic foundation. Overall, the tone of Sbass Music is soothing and comforting and references classic albums like, "On Land", "Apollo" and (the mellow side of) "Before And After Science" in its mood and purpose. But the album plays like a free-form excercise in bass guitar stretching as this conventional instrument is often rendered unrecognizable; Petito constantly coaxing new and surprising timbres. Along with tender and reverberant melodies, the sound expands beyond the well-established palette of the bass with layered tones, bending notes, truncated plucks, image altering processing, e-bow melodies, deep swells and looping harmonies. Petito connects these elements and can be credited with creating an album greater than the sum of its parts. 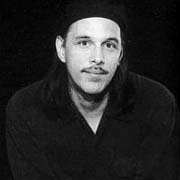 Scott Petito expands the ranks of today's most innovative bass players turned Ambient composers (Bill Laswell, Skuli Sverrison) with his own, completely unique contribution - successfully combining imagination and creativity with technique and technology.